“COPYSTAND: An Autonomous Manufacturing Zone“, 2009 by Stephanie Syjuco. Five day performative counterfeiting event held within its own gallery booth at the Frieze Art Fair. 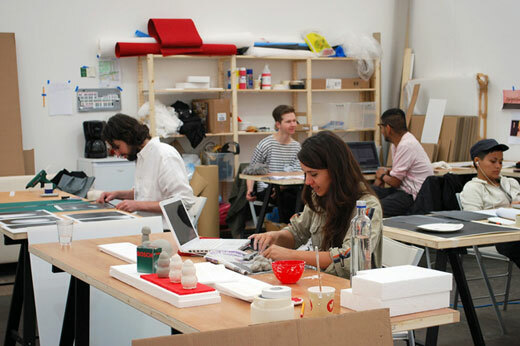 During the week, a cadre of three to five artists in a Production Area re-created artworks found in other booths and displayed them in a formal Gallery Area. All works were available for purchase at a mere fraction of the cost of the originals.